Please note, this art work is currently unavailable. It will return once construction of light rail and Wimbo Reserve is complete. 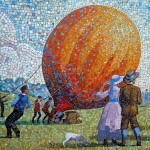 A mosaic mural made from opaque glass of various colours depicting the history of the Wimbo Park in which is it located. 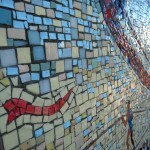 The mosaic pieces are embedded into a concrete wall. It was originally installed in 1985, and re-instated in 1993 after developers Meriton Apartments illegally removed it in 1992. 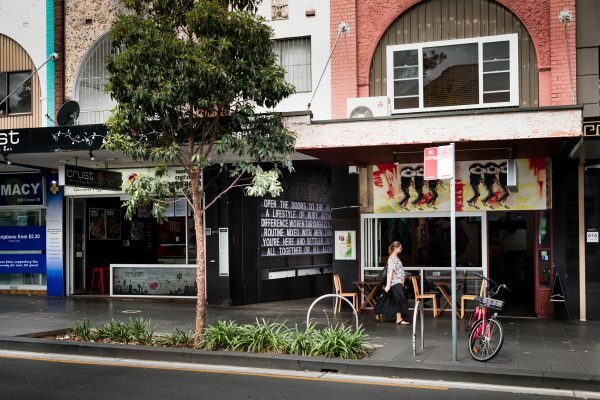 Wimbo Park is on Bourke Street, opposite Devonshire Street in Surry Hills. 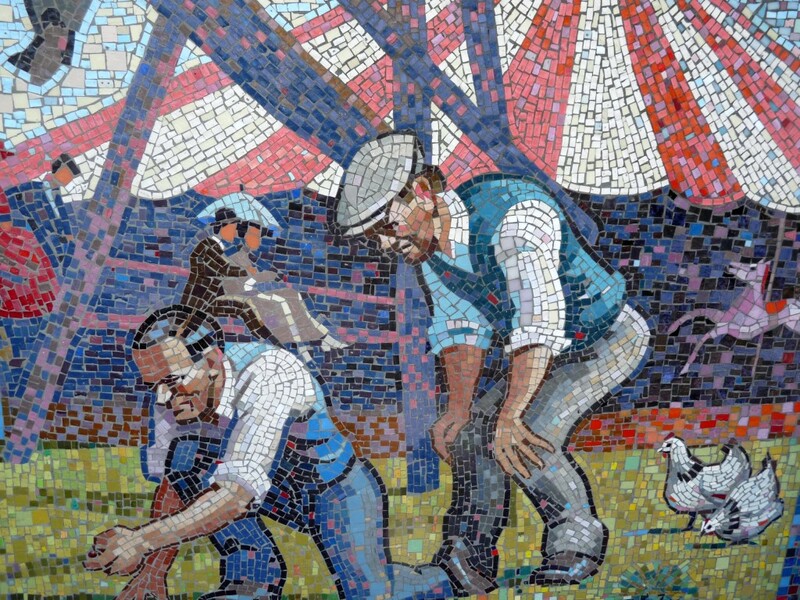 The mural depicts the history and memories of Wimbo Park, which was known as ‘Wimbo Paddock’ prior to becoming a stone yard. 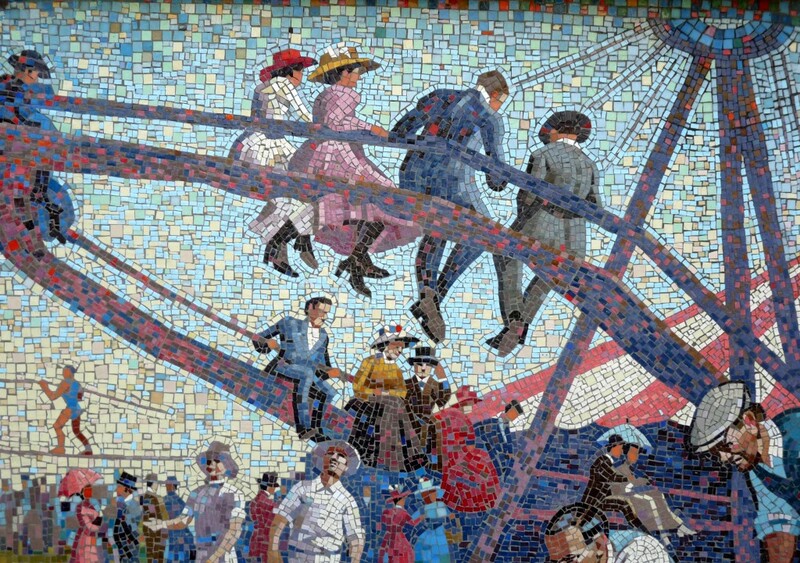 It shows people participating in recreational activities including men playing marbles, a tight-rope walker and a hot air balloon launching. 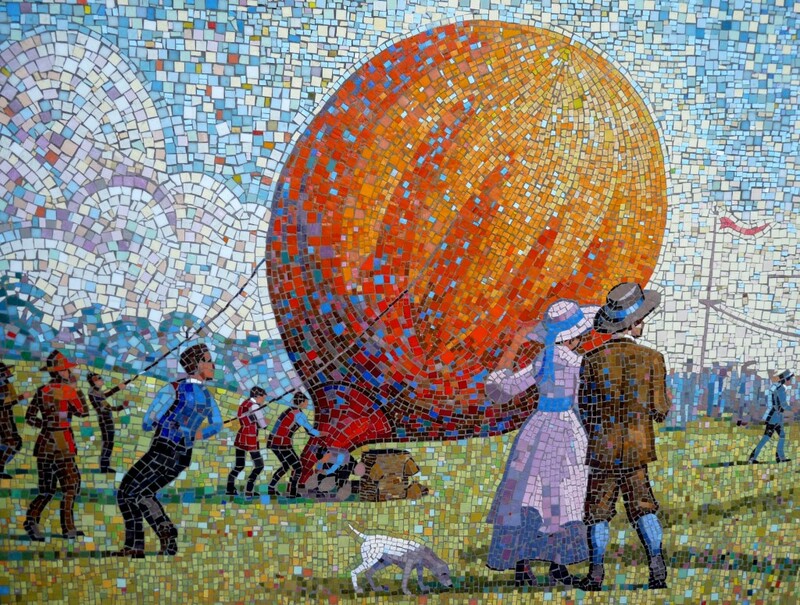 The hot air balloon is based on the memories of a local resident, Mr Ted Sykes, who remembered the area as a site for circuses and hot air ballooning. 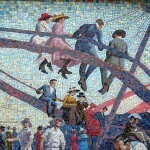 The image of a carousel was drawn from the well-known 1910 photograph Razzle Dazzle by Harold Cazneaux, depicting the fun and movement of a local carnival. 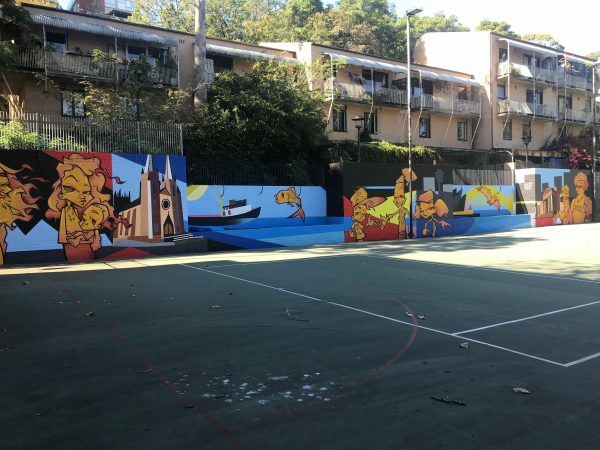 The mural was coordinated by local community artist Peter Day, in collaboration with Lee Stafford and local residents of Surry Hills. 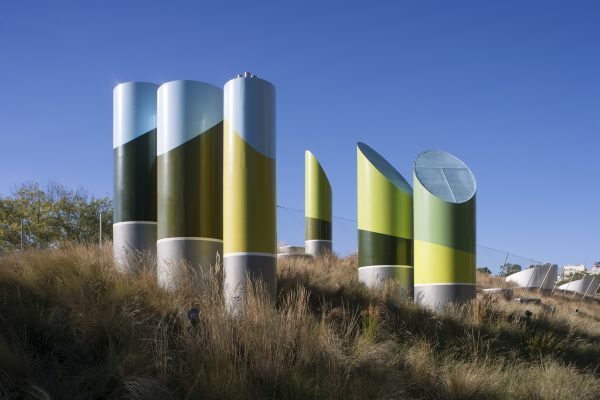 Peter Day was born in Sydney in 1949 and studied Industrial Design at the National Art School. 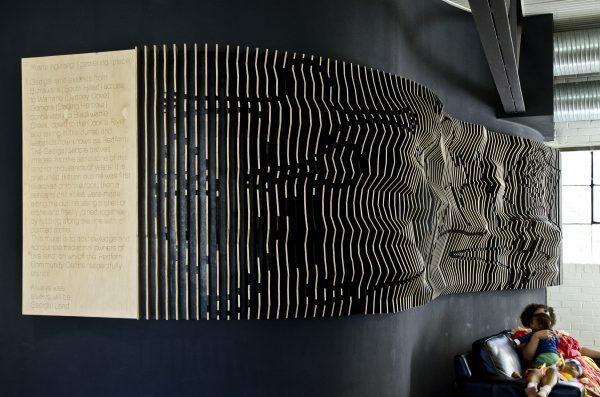 He later undertook a Post-graduate Diploma in Industrial Design at the University of NSW and a Post-graduate Diploma in Professional Art Studies. 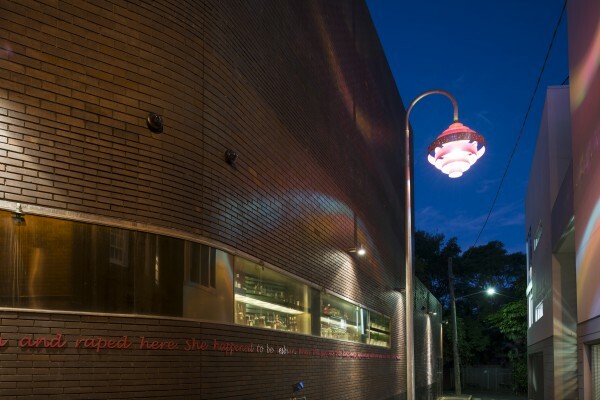 For much of his career, he has run his own design consultancy, including founding the Kirk Gallery, a non-profit community arts centre in Surry Hills. 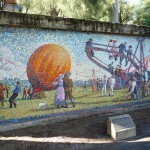 Peter has also taught painting, design and sculpture at various Sydney colleges. 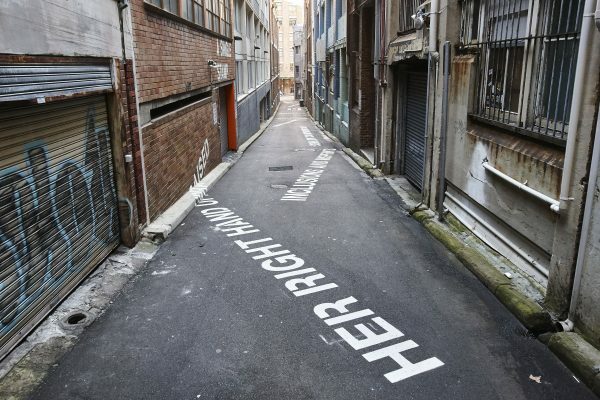 He is the Artistic Director of the award-winning Peter Day Environmental Art+Design (EA+D), which specialises in site-specific public art. 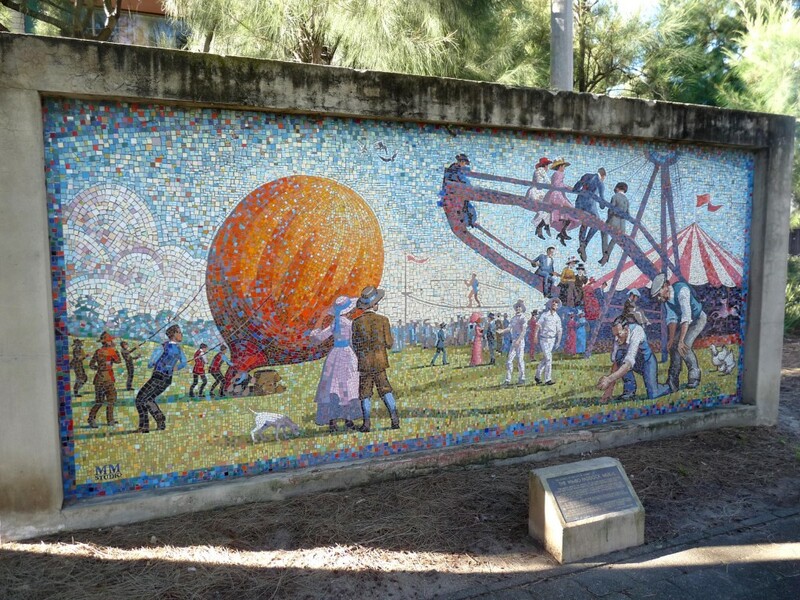 The Wimbo Park Mural was officially opened in 1985. 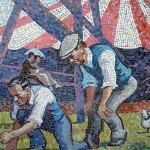 The mural was mistakenly demolished in 1992 as part of a neighbouring development. 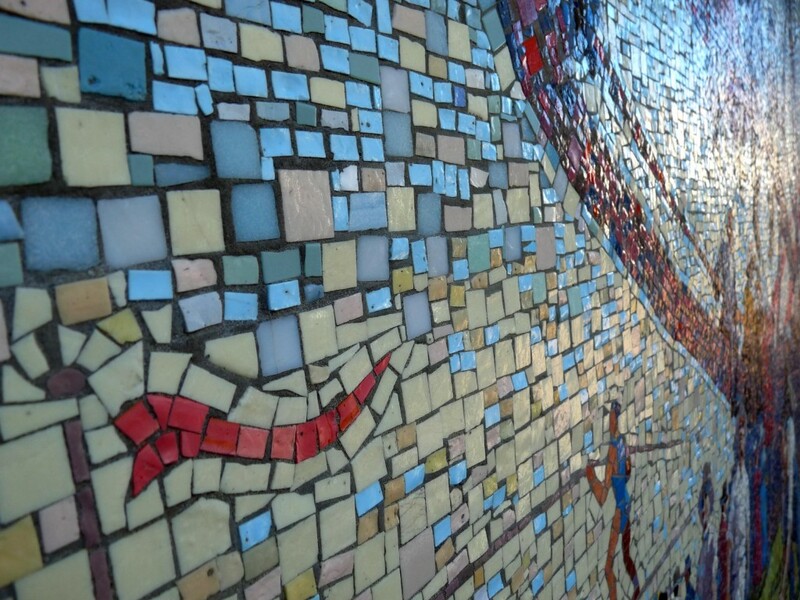 The community strongly supported the reinstatement of the mural, and this was carried out by the developer and completed in 1993.
place was called Wimbo Paddock and was a recreational area. Peter Day under the sponsorship of the Sydney City Council. L.P. Carter O.B.E. Town Clerk.